Going to the Nürburgring is always an exercise in sensory overload. Disneyland's full of crap—this is the happiest place on earth. 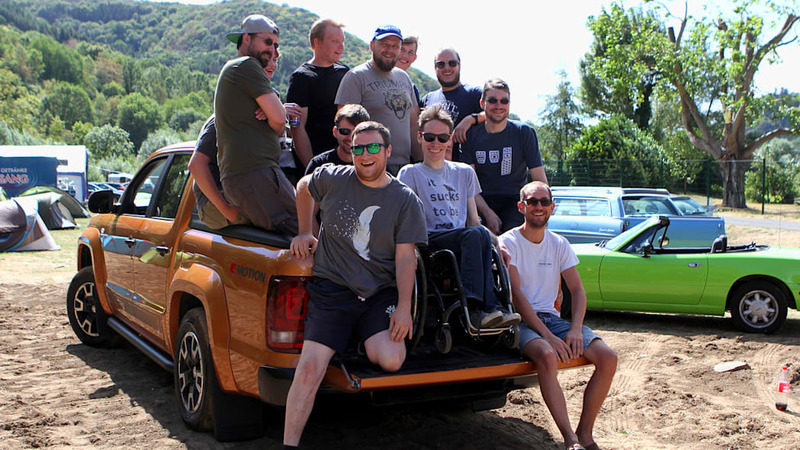 Every conceivable kind of vehicular enthusiast descends on these picturesque wooded hills to try their hand at one of the world's toughest race tracks, rife with delightful machinery that we don't get in the United States. It's like peering into a fun alternate universe where small cars rule and the great diversity of small trucks never went away. But how good are those small, forbidden-fruit trucks? 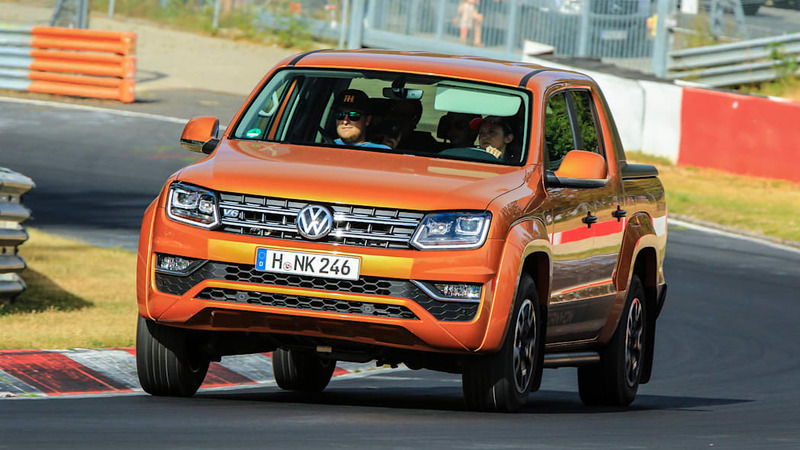 I took a 2018 Volkswagen Amarok on the Nürburgring to find out. The true beauty of "tourist drives" on this historic 12.9-mile track with 1,000 feet of elevation change as it meanders through the hills is that any road-legal car is welcome to drive on it. People take vans, pickups, limos, hearses — you name it. 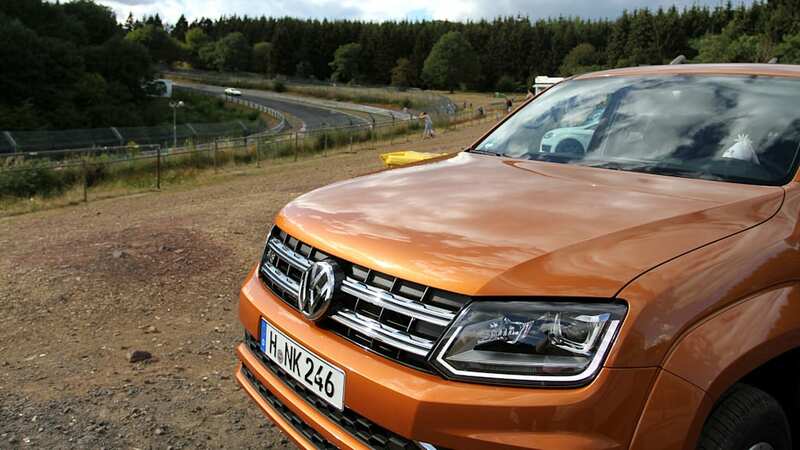 If it is a vehicle that exists, someone has probably hooned it on the Nürburgring. 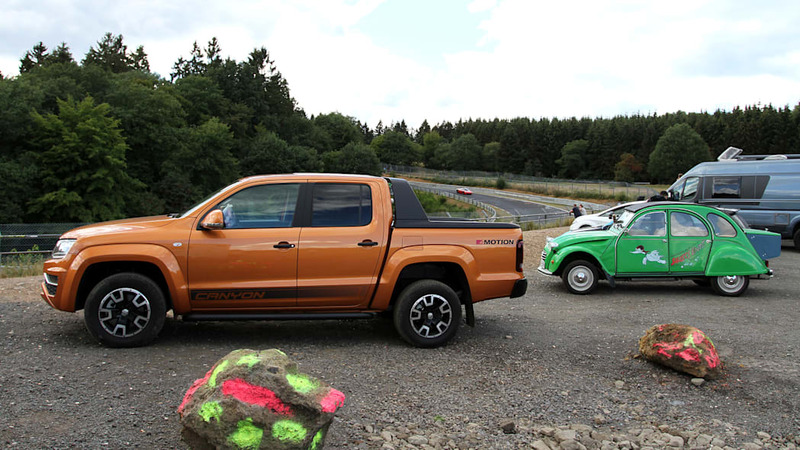 Yet because speeds are high, corners are often blind and walls are close, I, a true bad idea enthusiast, had to work up to the extremely good idea of truckin' the Nürburgring. It's over four times the length of the tracks I usually drive in Texas, and mentally exhausting to run fast. 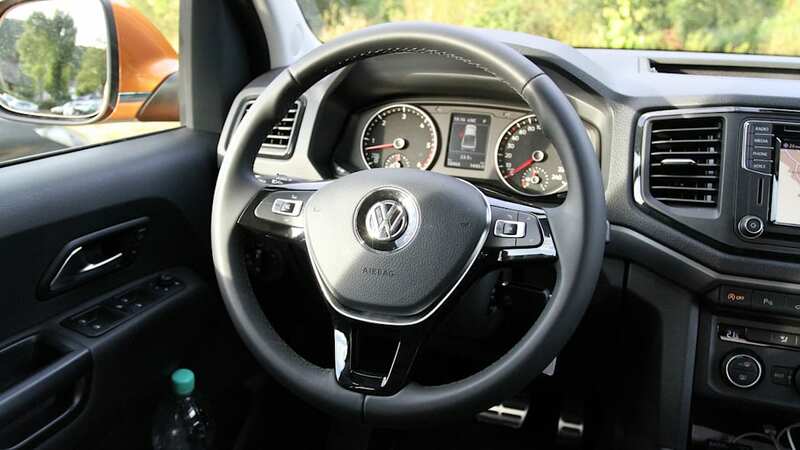 So, I started by riding along with friends who knew the track and drove a couple instructed laps in Apex Nürburg's 'Ring-ready rental Volkswagen Up!. It always shocks me on videos to see exactly how much of the Nürburgring is taken with the throttle pinned to the floor, but it's even more absurd to do in person. Misha Charoudin — yes, the same guy you've seen on 'Ring videos on YouTube — kept urging me to keep my foot in it in the Up! 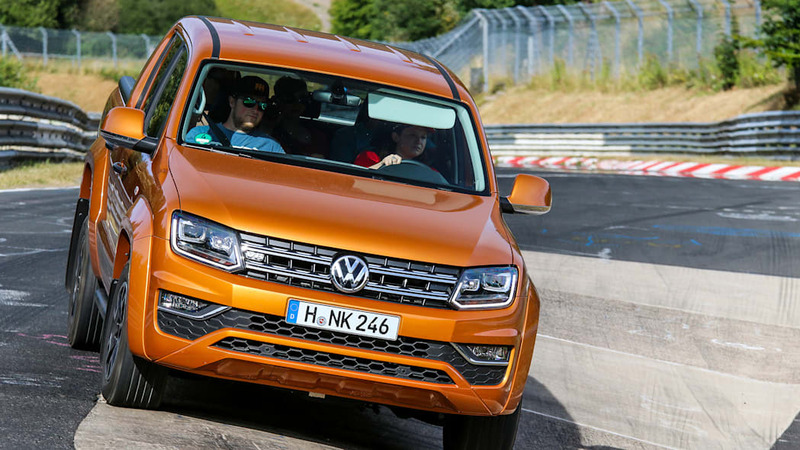 Driving Volkswagen's smallest car was a good primer for driving one of their biggest offerings, though, as it gave me the confidence to go track a truck. 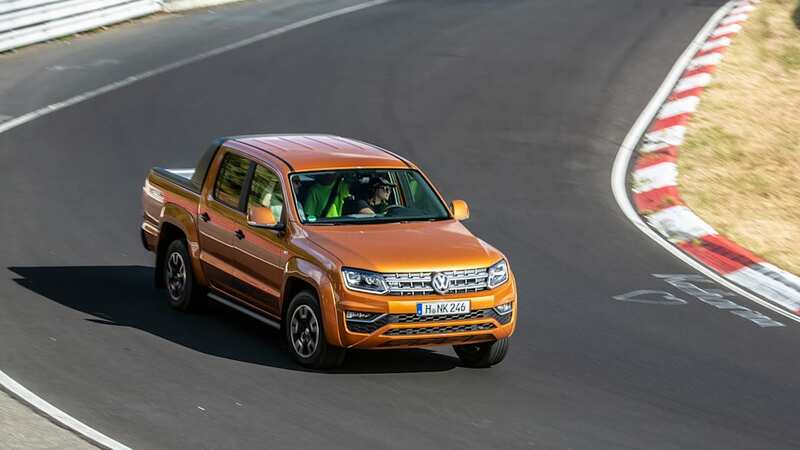 The Amarok has Volkswagen's permanent 4Motion all-wheel-drive system, which combined with the weight of the engine up front made the truck tend towards understeer in turns. 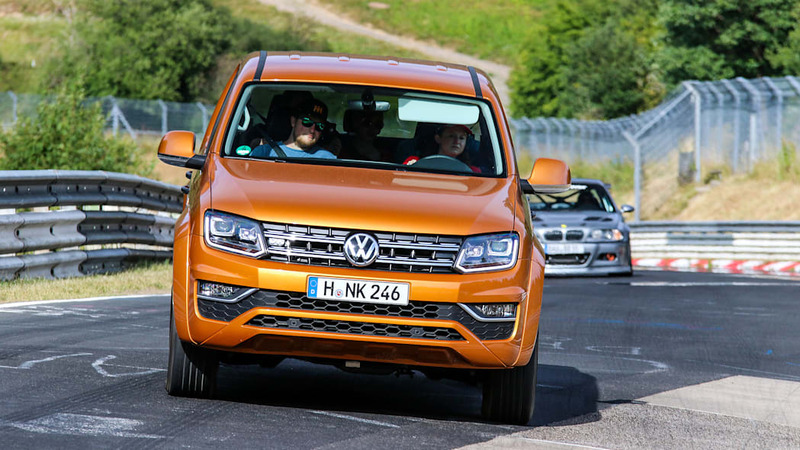 Yet when you're towering over everyone's souped-up track tools in a shiny orange pickup truck, it's more like fun-dersteer. The tall truck tires howl through turns as the sidewalls fold over just a tad, but every loud screech of those tires resulted in laughter. How could you not? Driving this thing on a race track demands it. 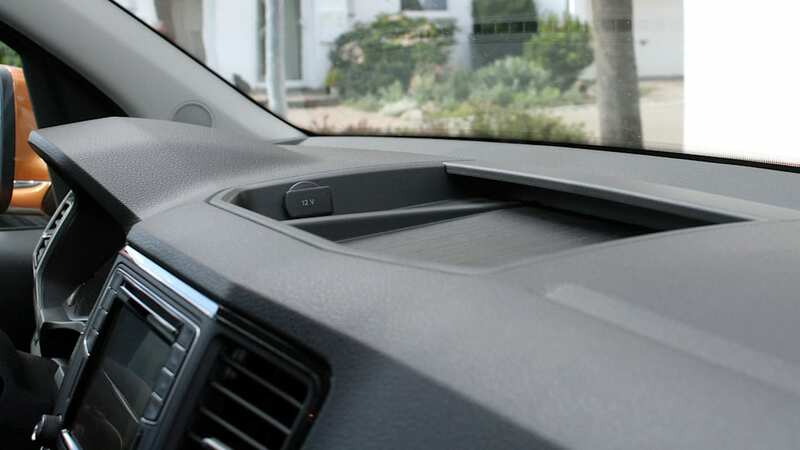 As someone who frequently tracks a front-wheel-drive Mitsubishi Lancer at home, I found myself slowing down a bit more as I went into corners to thwart that understeer. 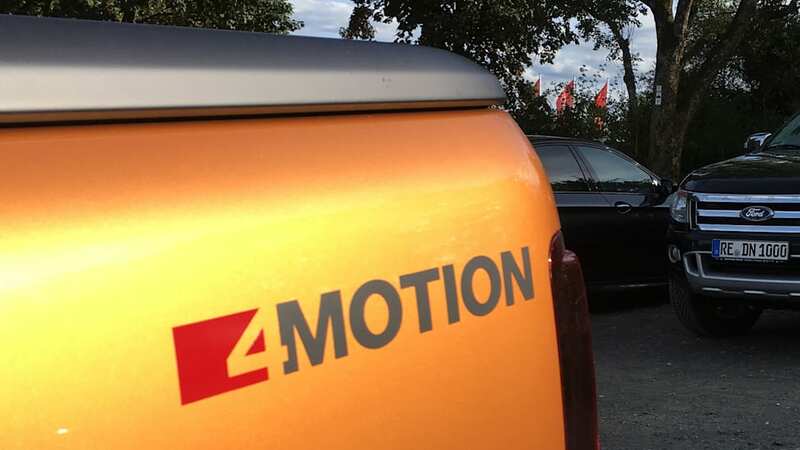 Turns out, 4Motion does let the truck rotate a little in some turns—just enough to wag its bed a little, but never enough to be terrifying while driving around your favorite source of insane automotive wipe-out videos. 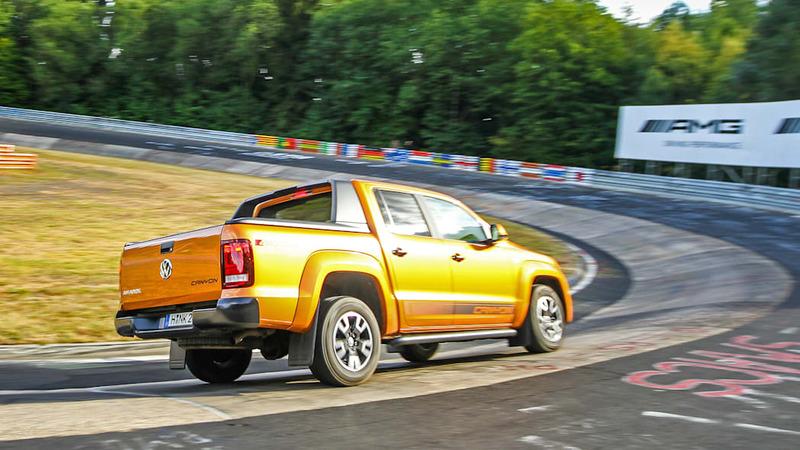 There's two things that give away the Amarok Canyon's 4,729-lb curb weight on the Nürburgring: sharper turns where inertia for all that mass isn't your friend, and the brakes. After one lap, the brakes on this truck were fairly roasted. 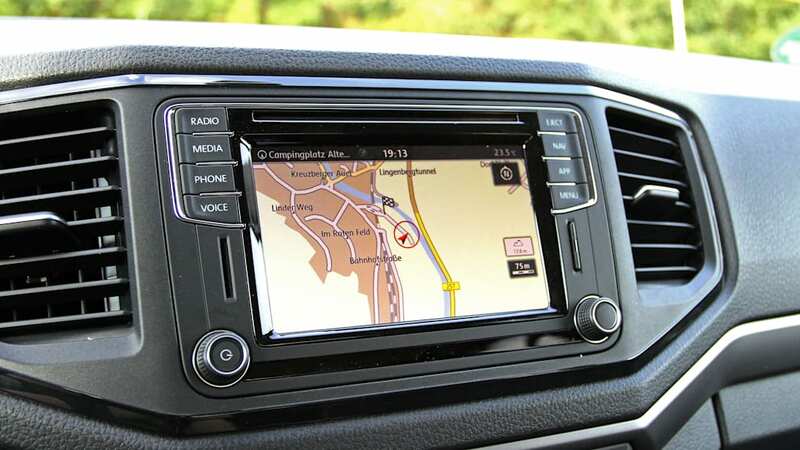 I probably braked more than I needed to as I was being overly cautious on a track I didn't really know, even though I roped in friends who'd driven it more often to bark out directions from the front passenger seat. 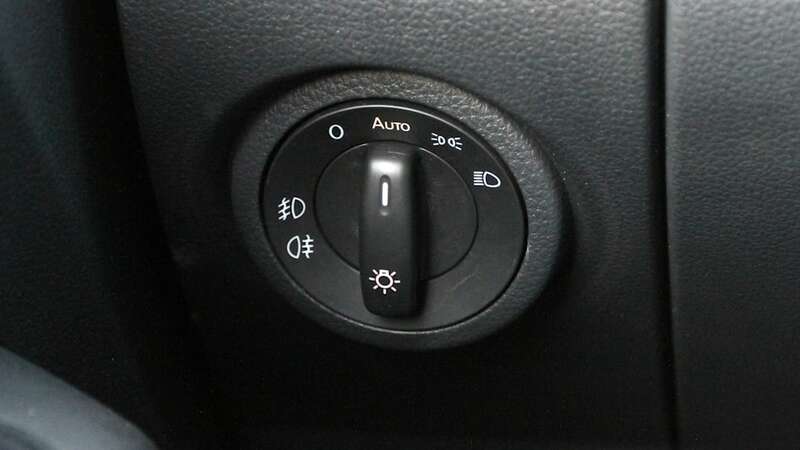 The brake pedal felt like a warm sponge cake afterwards, and not in a good way. They still worked just fine, but there was a lot of squish and I'd imagine they needed a good bleeding. Still, this didn't deter me from cautiously trying a couple more laps the next day, filling up the cab with enough curious friends from our party that I got mistaken by one of the entrance workers for someone running an illegal taxi service. 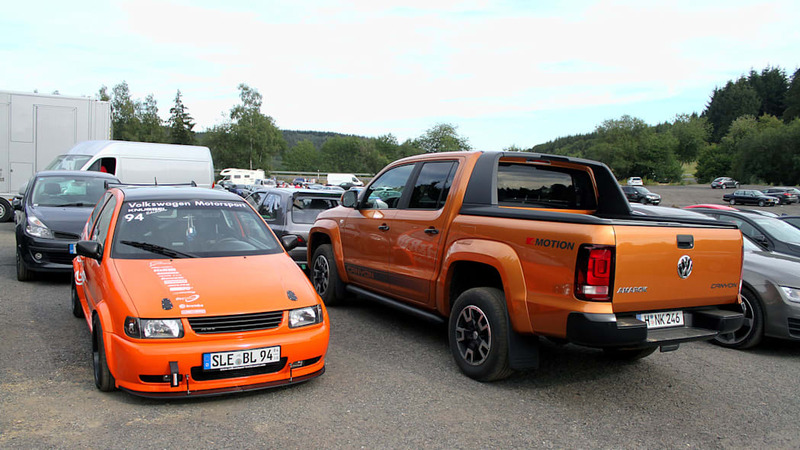 (Taxi licenses that allow companies to sell ride-alongs of the Nordschleife are extremely limited and sell for big bucks—hence the crackdown on cars with suspicious numbers of passengers lately.) No one was paying me, though, so I was free to go ahead for one last lap. 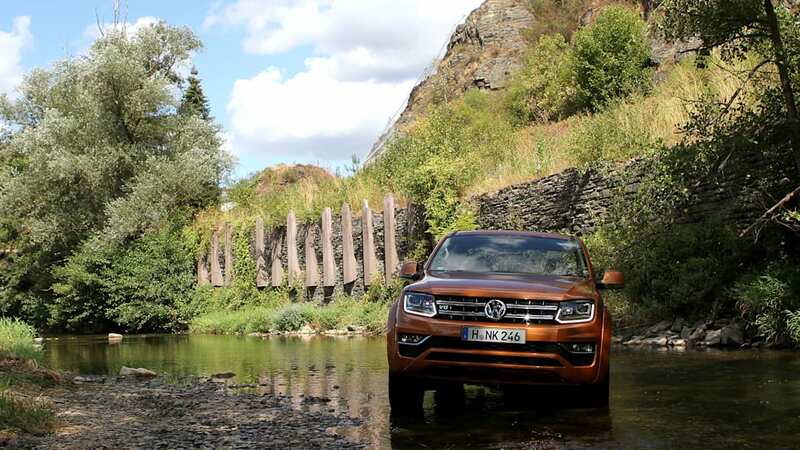 The Amarok was even more at home off the track, where it proved itself to be both practical and comfortable. 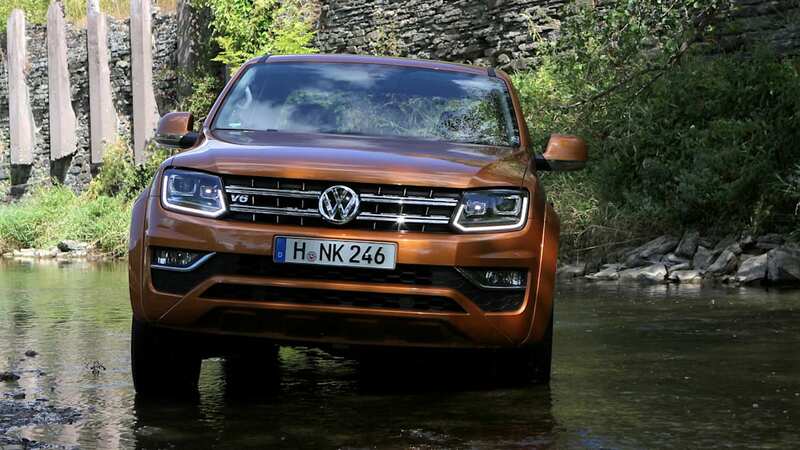 It's roughly the same size as the eagerly awaited Ford Ranger, which meant that it felt huge on narrow German town roads that weren't originally designed for cars, but not impossibly so. 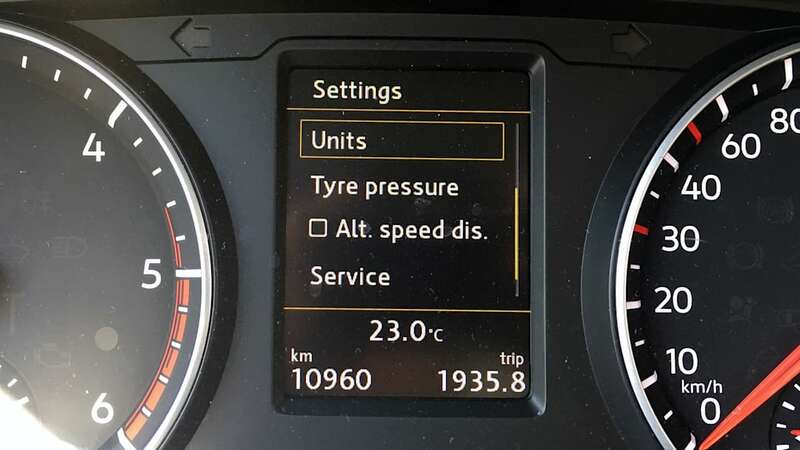 On the open Autobahn, it was just right. In the U.S., it would be downright easy to live with on many of our wider streets. It's a travesty it isn't sold here. 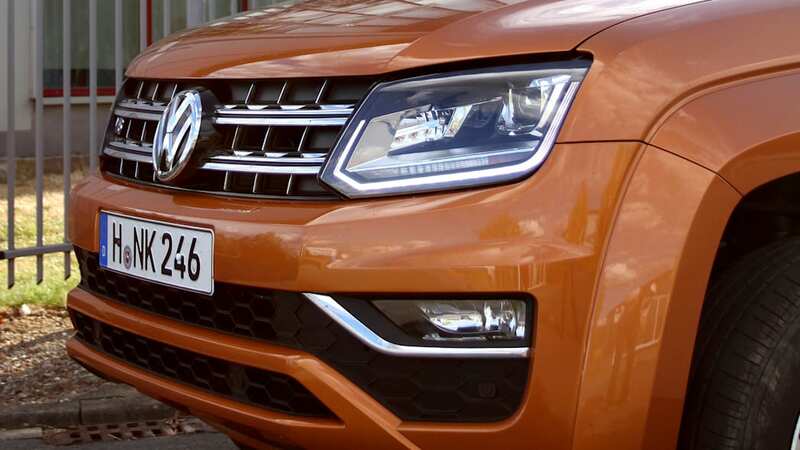 Don't be fooled by the Amarok's small size — it's still a body-on-frame truck capable of towing 7,716 lbs. 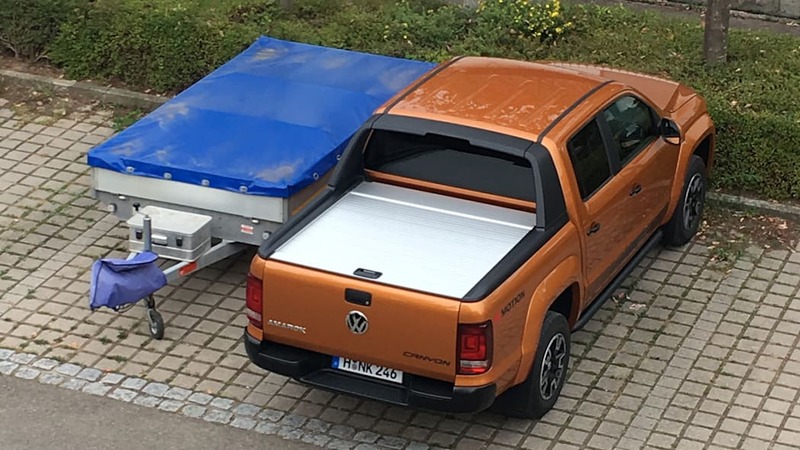 My tester came ready to haul, with a lockable bed cover and rails integrated into the bedliner to attach tie-down anchors where needed. 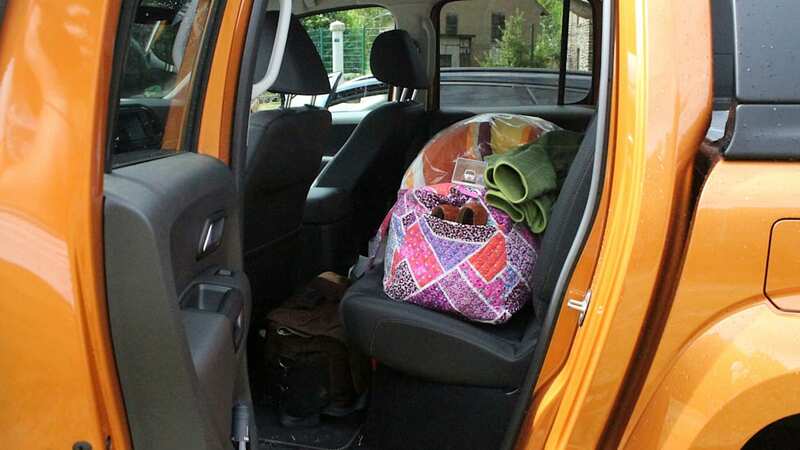 The ability to hide stuff away came in handy, as I made a detour to gawk at fast Toyotas in Cologne right before heading to camp out by the Nürburgring for the weekend. 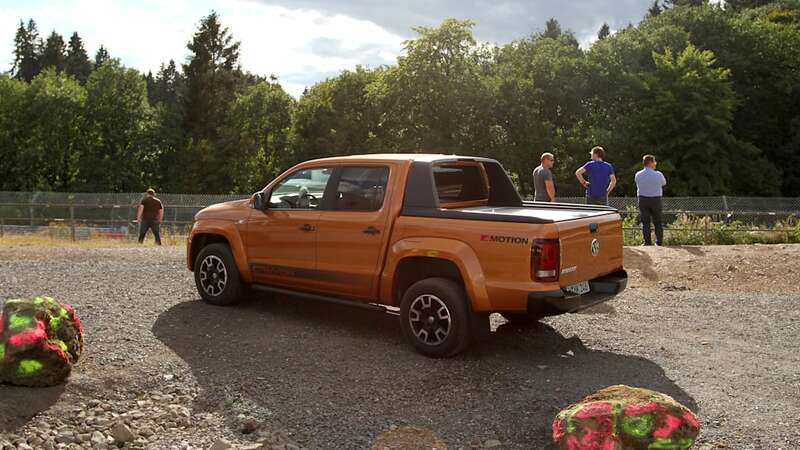 Once I was at our campsite, we "tested" the Amarok's maximum payload capacity (rated for 2,061 lbs. 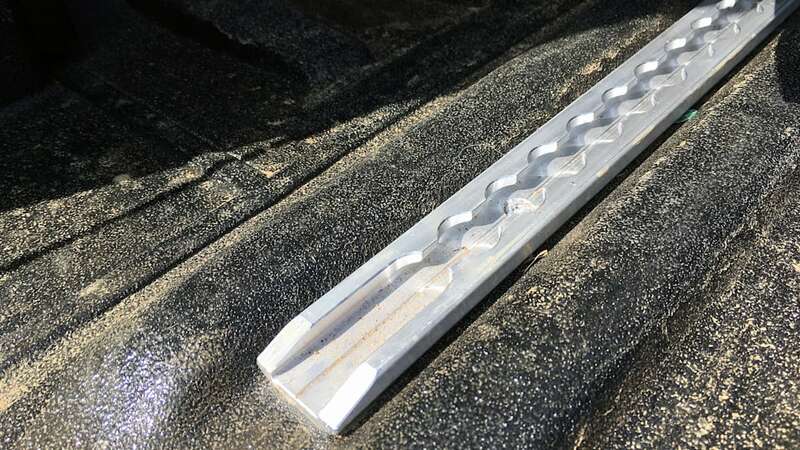 with the heavy-duty 3+2 rear leaf springs) by putting most of our party in the bed of the truck. I was impressed by how many bored adults could fit back there before the rear even started to sag. 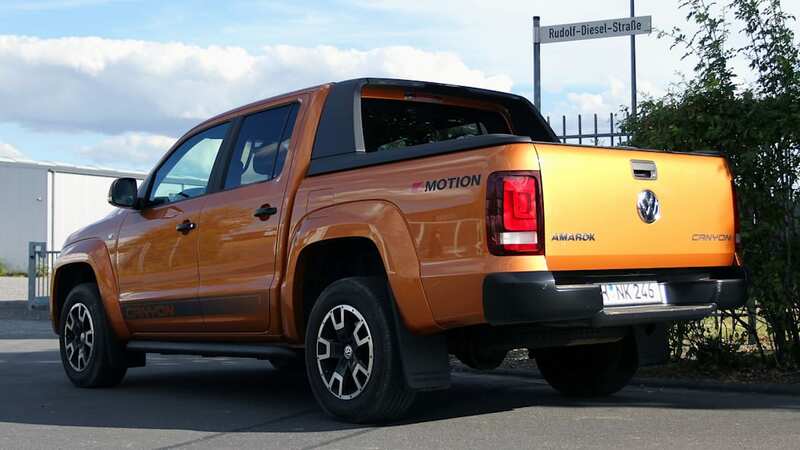 My week with the Amarok — a Comfortline-trim Canyon edition — was indeed one of relative comfort. 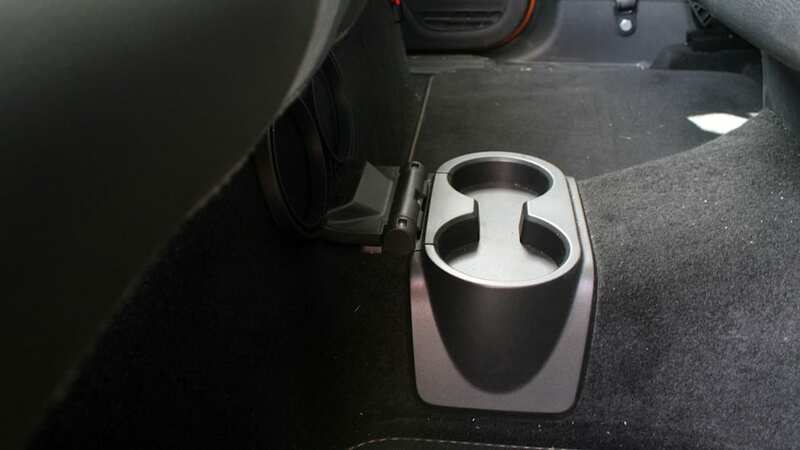 The faux carbon fiber and Alcantara on the truck seats was silly, but the seats themselves were well bolstered and pleasant even on longer drives. 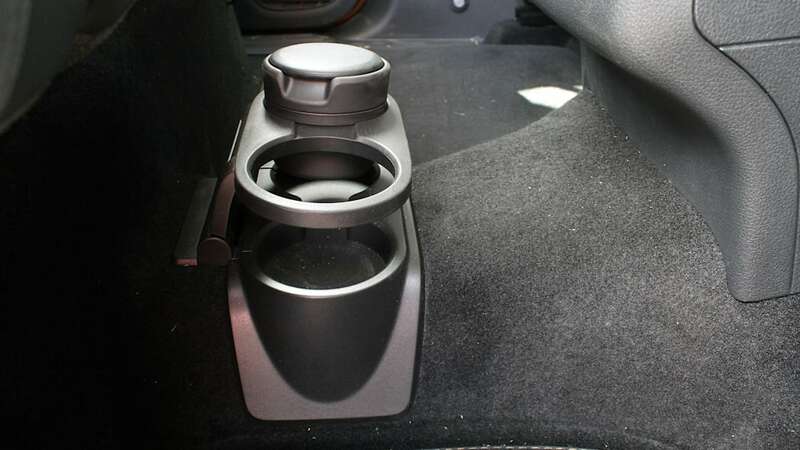 The rear seats even had adequate space for taller friends not to feel cramped. 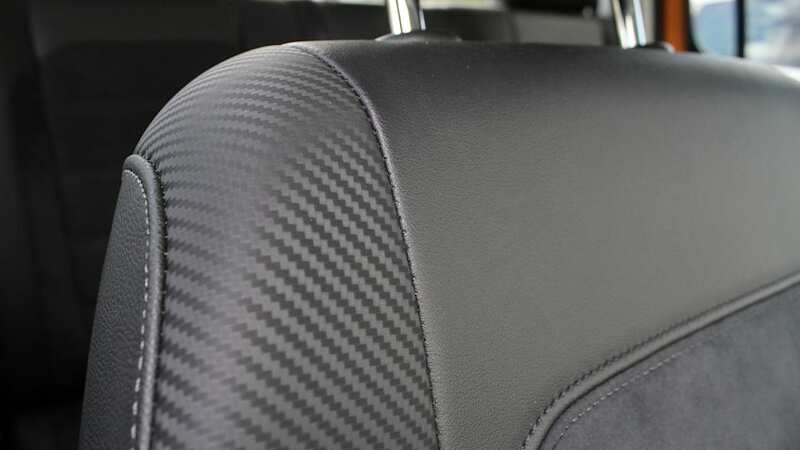 Here, in a truck with no sporting pretensions at all, might be the only place where fake carbon fiber is okay. In a cheap coupe, carbon-ish prints are just cheesy. 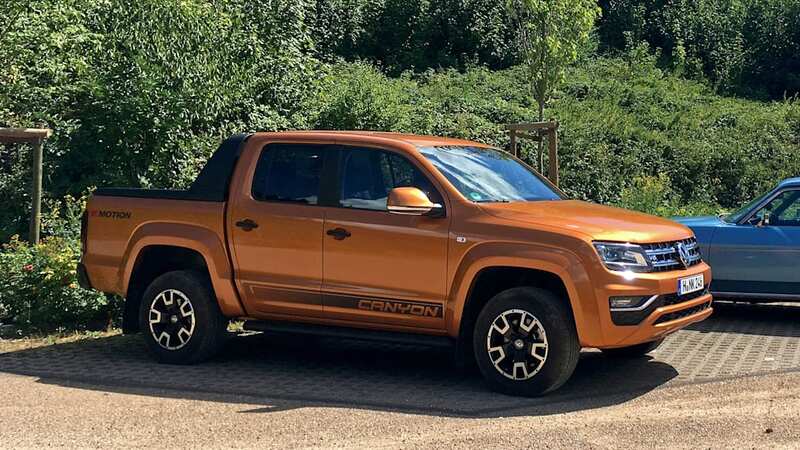 In a truck that gets called the "Canyonero" all weekend long thanks to its large "Canyon" trim-graphic down the side, carbon fiber trim feels so out of place that it's almost charming. 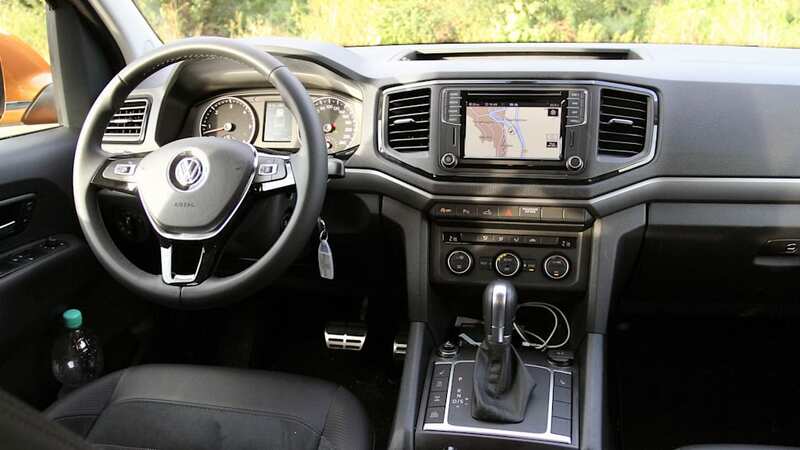 Volkswagen's interiors usually aren't that flashy, but they make sense and things are easy to use. 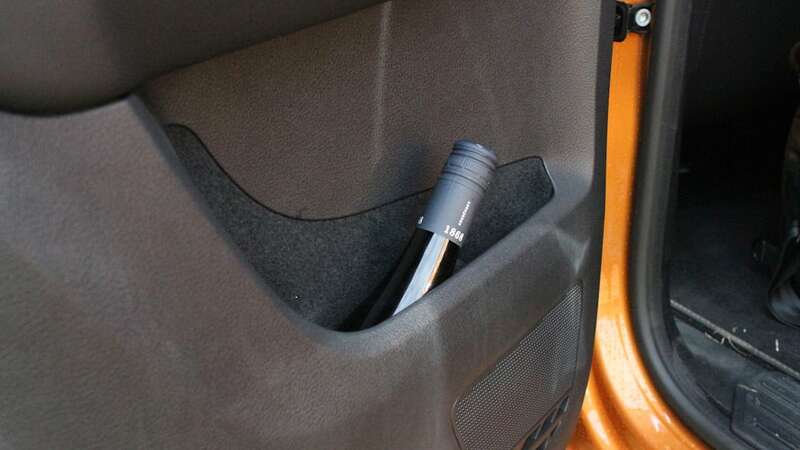 The Amarok's VW parts-bin interior was instantly familiar to anyone who'd been in a Golf lately ­— this is, after all, a work truck sold under VW's commercial division in Germany, so they used tried-and-true bits that work. 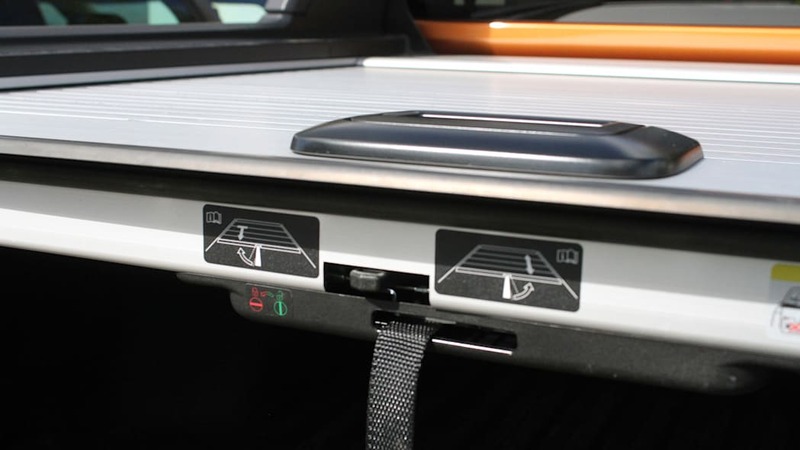 Adjustable settings in the onboard computer even made it easy to switch between units and languages, should you travel all over the world. 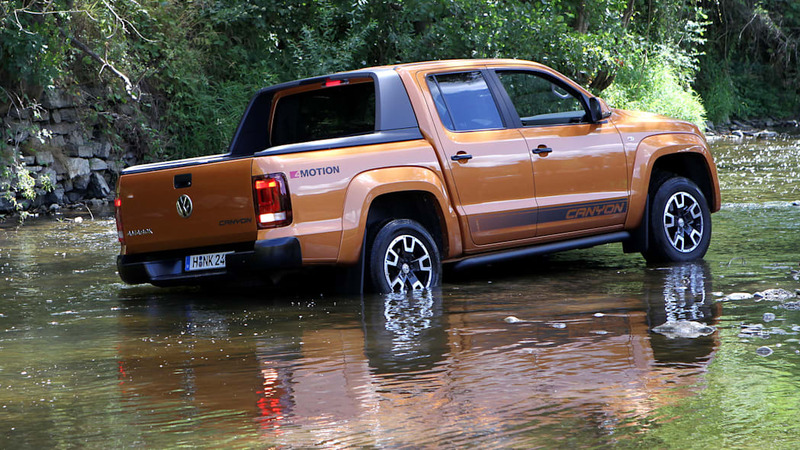 The best part of the Amarok, however, was still how well it drove. 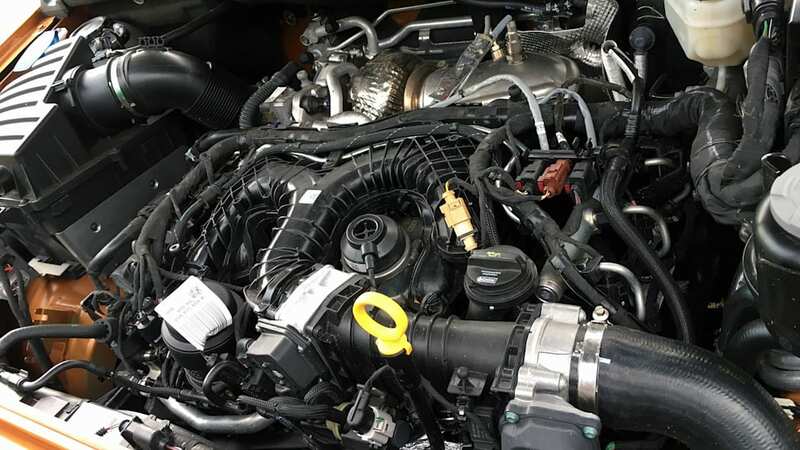 Mine came with the 3.0-liter, 201-horsepower, 369 lb-ft diesel V6, a little torque-monster of an engine has zero issues passing slower cars on the Autobahn. 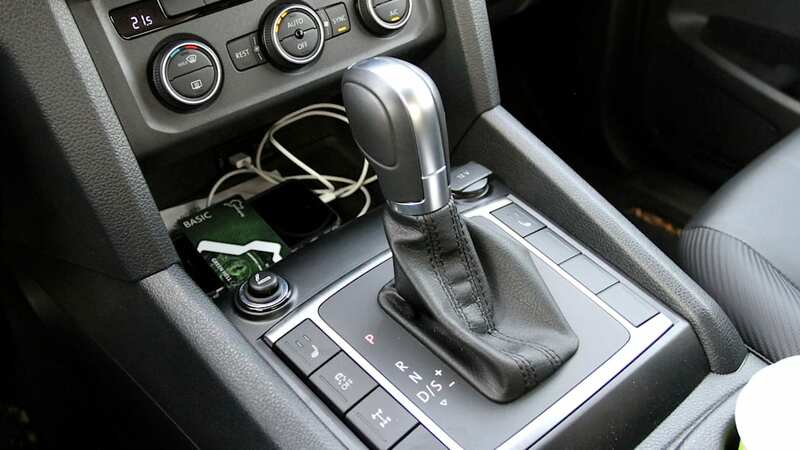 Volkswagen's eight-speed automatic gearbox made cruising along easy and as efficient as it could be. 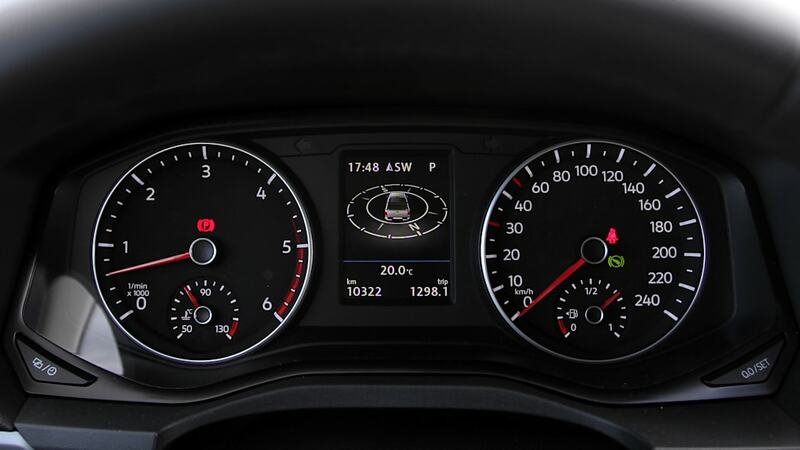 I saw 23.9 mpg across the duration of my loan, which included roughly 38.7 miles of track time. 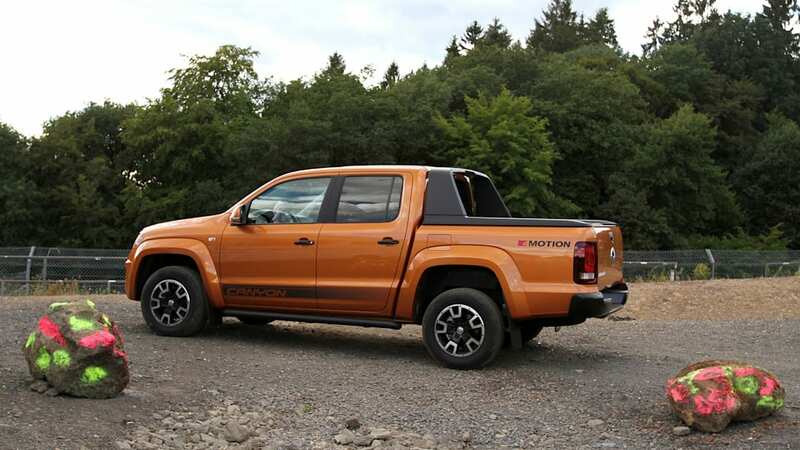 Best of all, the suspension — a combination of independent suspension in the front and leaf springs in the rear — felt stiffer than most of the small and midsize pickups I've driven before. It didn't rock me to sleep with a floaty suspension in stop-and-go traffic. 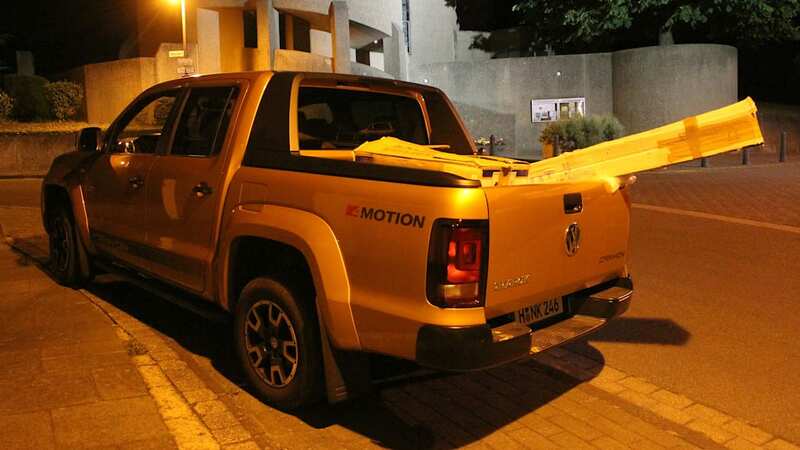 The Amarok felt tighter, like a big, heavy car. I found myself having fun trying to keep up with locals on the windy country roads around our campsite. 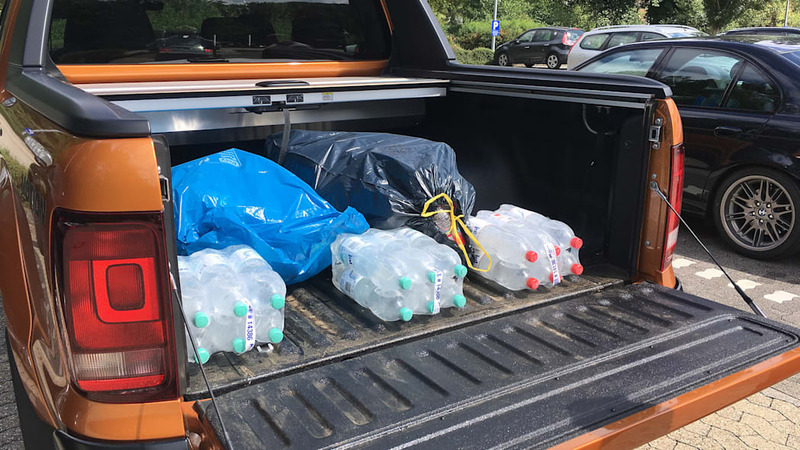 Yet the Amarok was still plenty capable off pavement, particularly when I drove it into the creek behind the campsite to one-up a Fiat Panda. 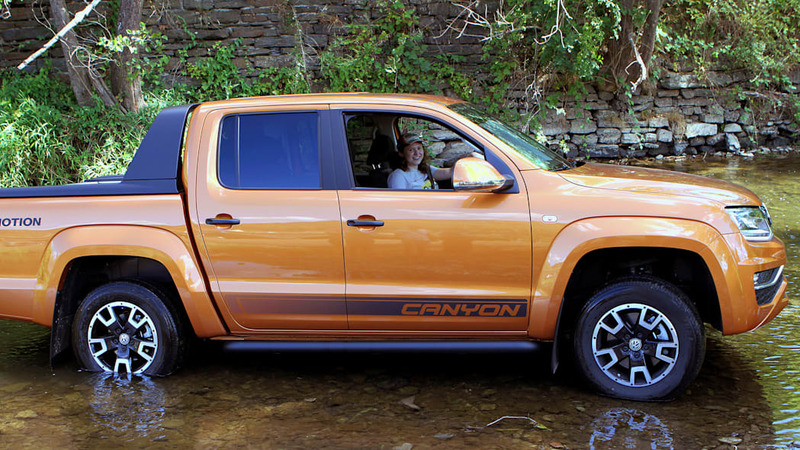 This Canyon came with a mechanical locking differential that could be engaged with the press of a button, but the 4Motion system was more than capable of trudging through slippery creek beds and our rain-soaked campground without the extra help. 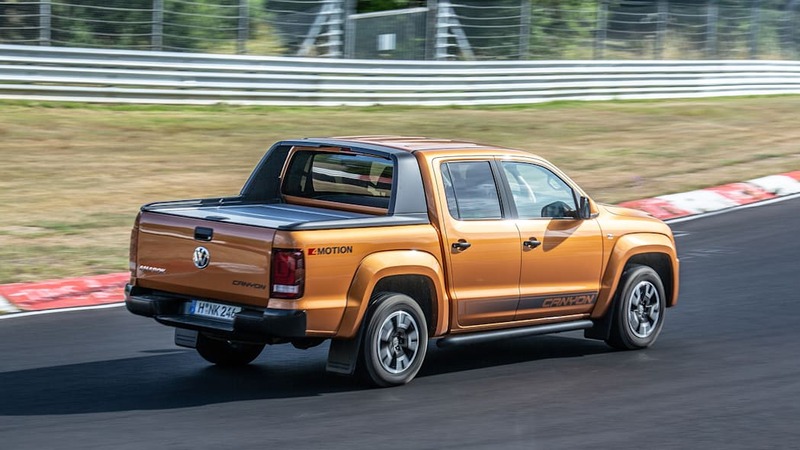 Still, all this goofing around in a good truck of reasonable size made me even more disappointed that we probably won't get the delightful li'l Amarok anytime soon. 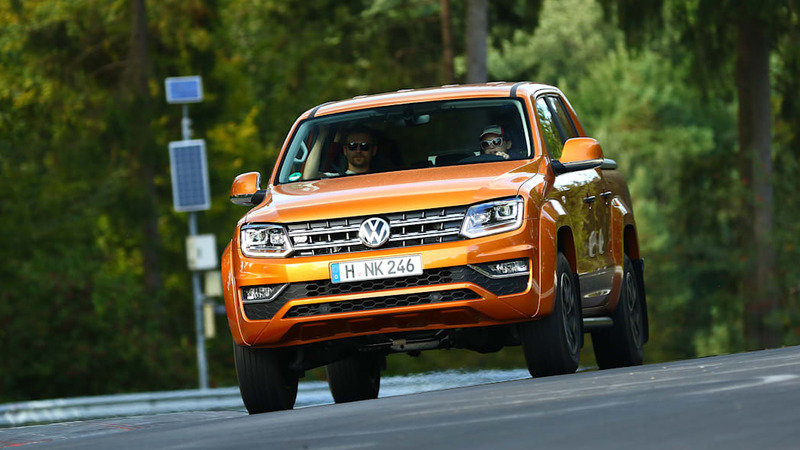 Volkswagen keeps teasing an Atlas-based truck concept called the Tanoak, but a high retaliatory tariff we placed on imported light trucks known as the Chicken Tax will likely prevent us from getting the Amarok that the rest of the world gets anytime soon. 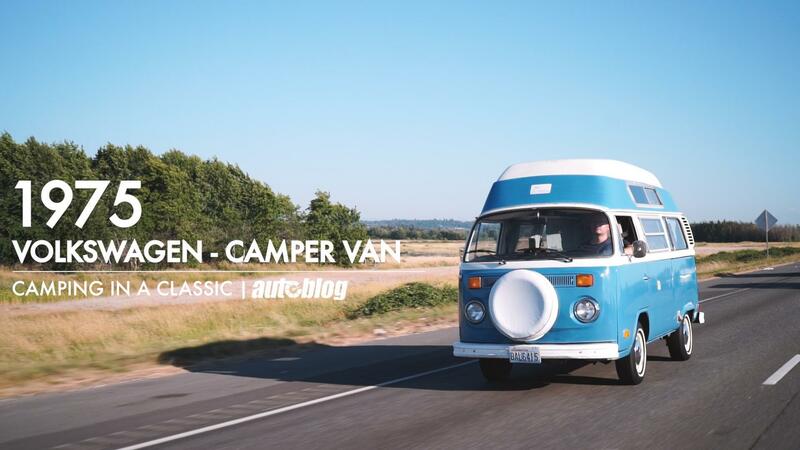 This tax was originally meant to thwart the Volkswagen Type 2 when Europe started taxing American chicken imports in the 1960s, and has long overstayed its welcome. Sad!